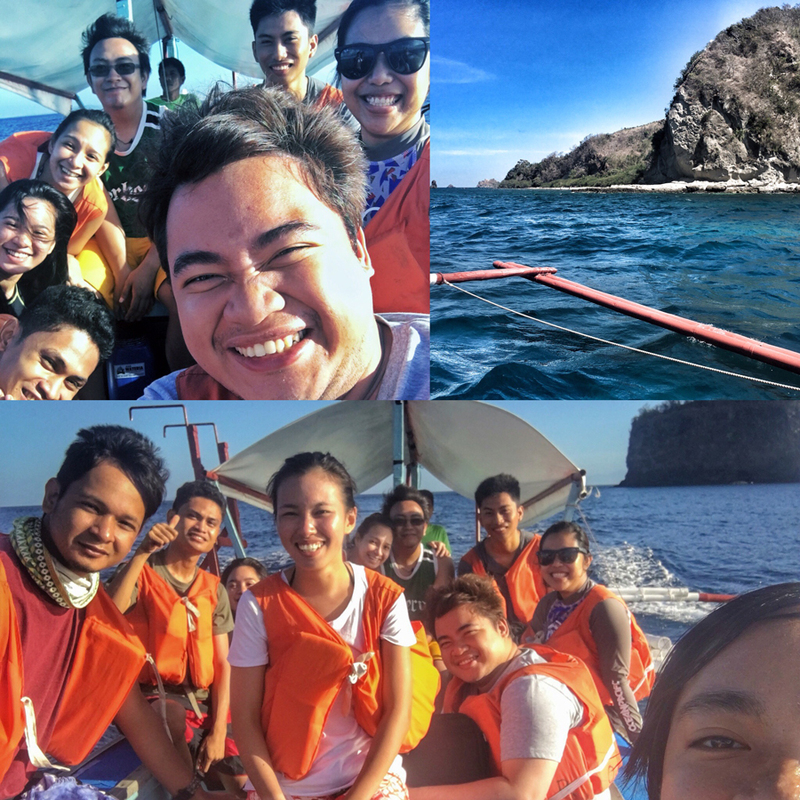 It was around 6 AM when my friends and I rode on a blue wooden boat off to Tingloy Island. It was approximately one hour travel according to our two local companions operating the boat. The sun was already up so we lathered sunscreen on our skin for protection. We saw other resorts along our way which offer water activities such as scuba diving and kayaking. Other than that, I also saw children who climbed on stiff rock formations and jumped on the calm water, something thrilling I wouldn’t dare to try. We took group shots when the boat was quite stabilized. Fortunately the waves weren’t that strong yet. Our phones are quite safe from the sprinkling salt water and the waving boat. I also took my chance to take photos while I was still on the boat. The clouds and the clear blue sky as my background. The bright orange life vest as my costume. And the wind blowing my hair. I put on a big smile to express how much I really enjoyed that scenario. It was picturesque. 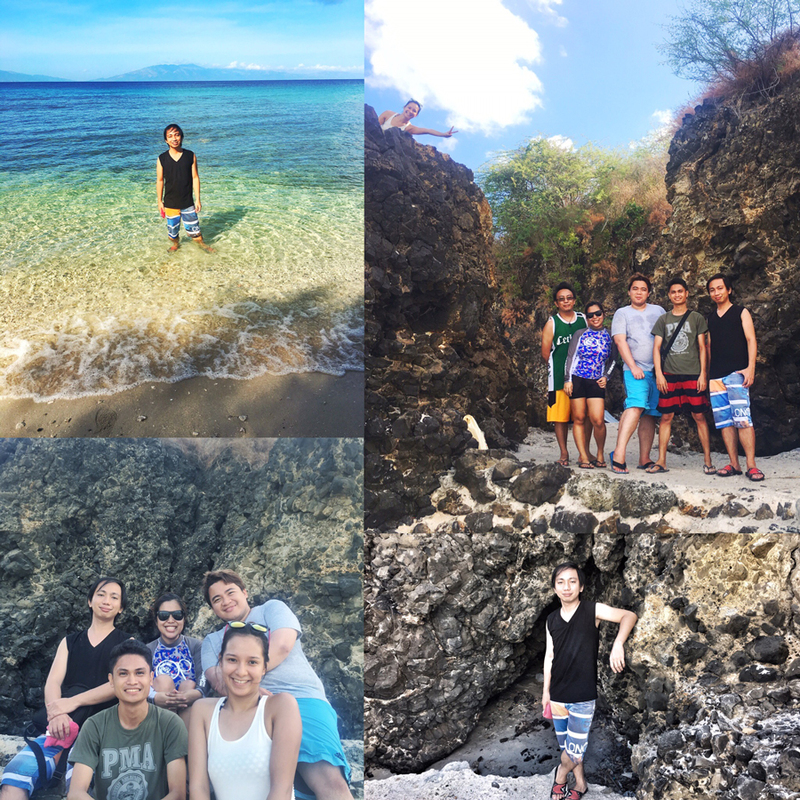 We arrived at Masasa Beach after an hour. It is stunning and inviting. Additionally, there were also campers with their tents built up. Perhaps they slept there for an overnight camping. So it is possible then. Then, another ugly truth was also noticeable when we set foot on the island. Human trash were scattered around, some already half-buried with the sand. If only the tourists could just be more disciplined in protecting this island’s natural beauty and clean it at the same time then that would really help preserve and save whatever the island has for the generations to come. Leftover foods from yesterday still taste delicious as we ate them on the seaside. We should have brought a beach mat for a complete picnic experience 🙂 I was still chewing and savoring my second piece of grilled pork when all of them were already done eating and ready to go. I told them to go and I’ll just follow. But being good and kinds friends they are, they let me finish my meal. After that, we walked around and took photos. And swam. And more photos. We packed up before lunch. The boat was there waiting for us to get onboard. 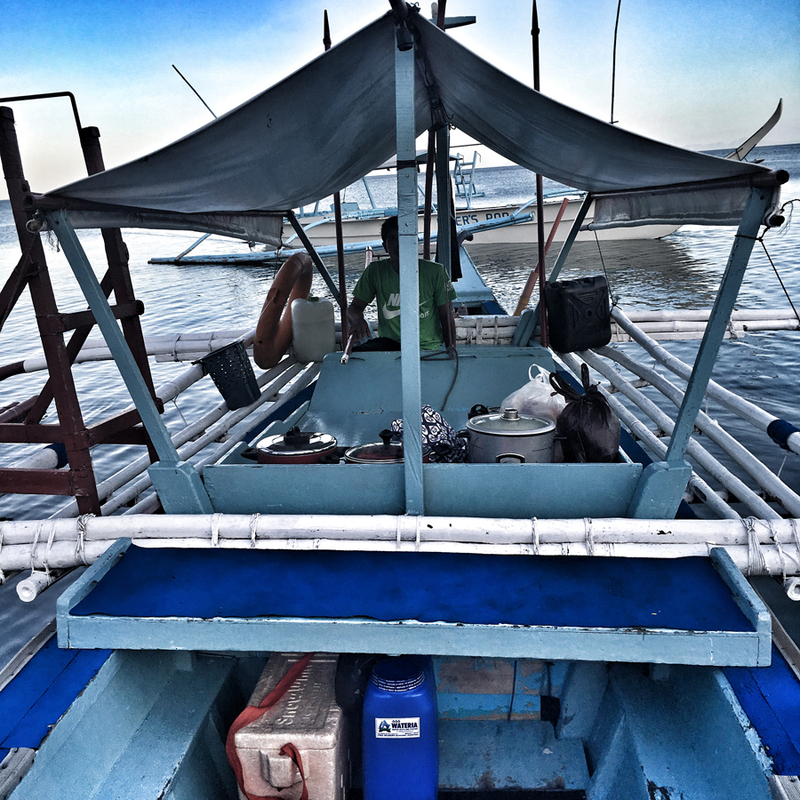 Needed to go early as the waves will get stronger in the afternoon, said our boat men. By the time Sombrero Island was on sight, I became excited. Only to find out later we won’t really land there, but just go around it. I was disappointed. The waves were quite in a rage that time, splashing water here and there. After an hour, we were back at our room. I immediately showered when I had the chance and prepared myself for departure. Back on the road, I made sure I never drink too much. I don’t want to repeat my hapless situation yesterday ever again. I once again opened my music app and searched for some pop songs to play. It will be quite a long time again before we embark in another get together outing. Overall, it was such a fun weekend. It was my friends’ (Jhoy and Diane) birthday celebration. Happy Birthday to them! 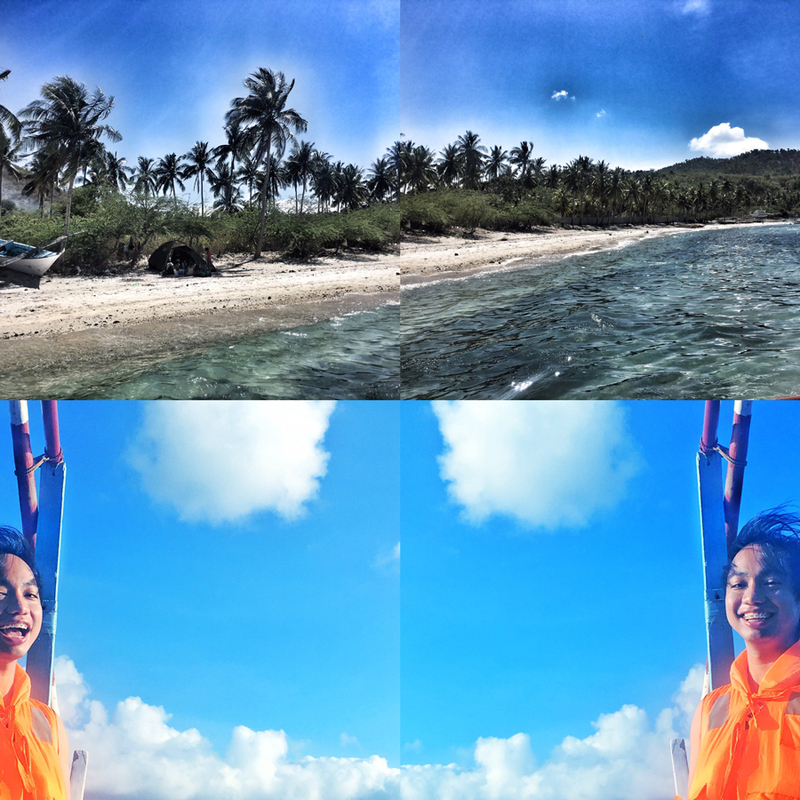 This entry was posted in People & Events, Space Travel and tagged adventure, beach, boat, friends, island, travel, water. Bookmark the permalink.